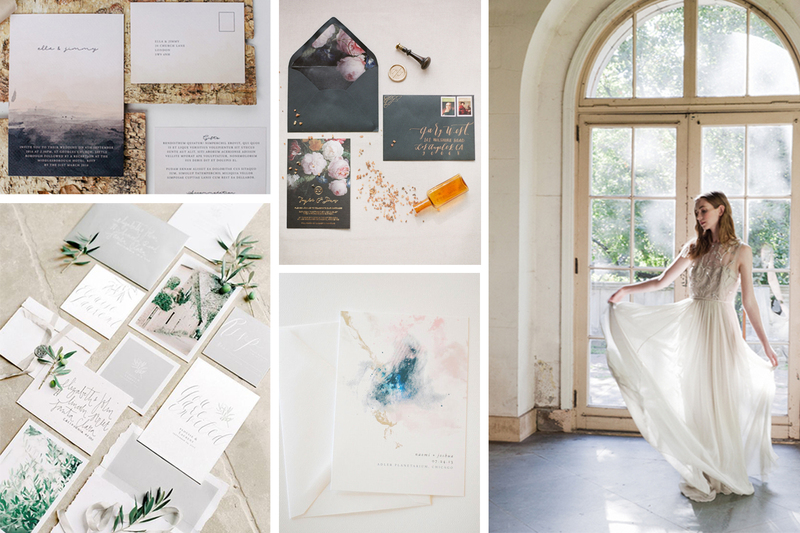 So, as my second post in the “wedding papers”-topic, I collected some tips for you about inspiration, ideas and themes. Hopefully they help you kick-off the project. 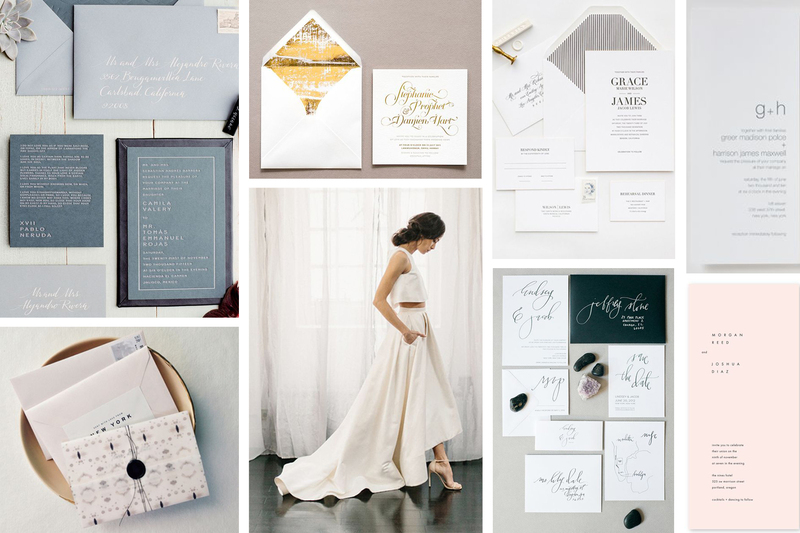 Probably you are in the easiest position if you already have a wedding theme in mind. Nowadays it´s a trend to organise the big day around one theme, like French country-style, vintage, organic or bohemian. In these cases, I would suggest to pick two or three little elements that best represent the main idea. For example, in case of a nautical beach wedding, navy blue color, a boat or a compass illustration could communicate the subject very well. If the venue has a special place in your heart, show it also on your invites. An illustration of a romantic old chapel, a greenhouse or a nice barn can make your stationery very unique and personal. Seasonal colors and flowers are always safe ideas and they can be easily incorporated in the paper design. 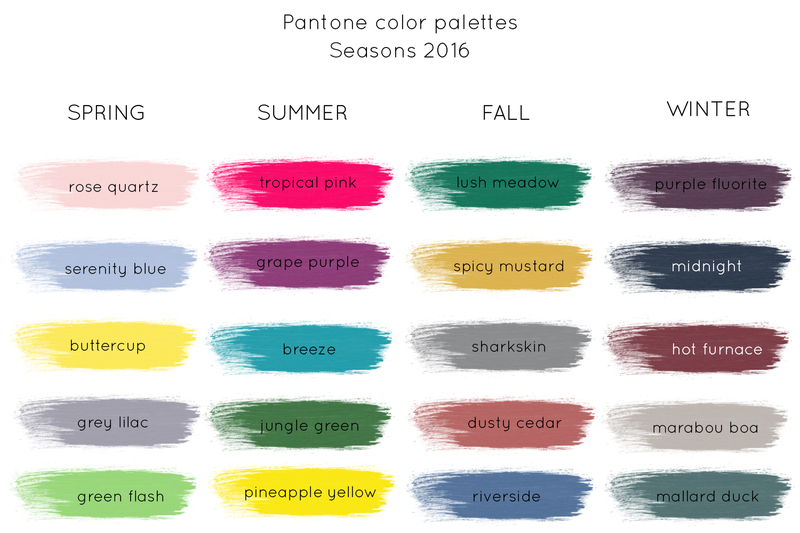 I collected here some of Pantone´s color picks for 2016. 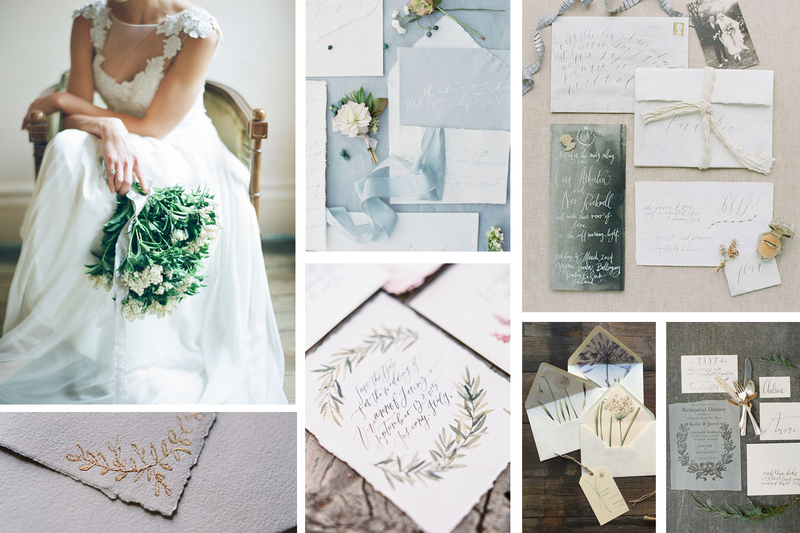 For Winter wedding inspiration here is one of my older posts. For floral inspiration, I found an amazing series of posts on Green wedding shoes, that I can highly recommend you to check out. I just love the beautiful boards they created for Spring, Summer, Fall and Winter flowers. I think that above all, you should choose a design that represents you as a couple. It may be a memory you share, an important place or a hobby you have in common. When you focus on these details, you can create authentic and meaningful designs.